I believe that I Am the Center: Private Issue New Age Music in America 1950-1990 is the most interesting compilations our genre has seen in many years. Before posting my own review, I thought that it would be nice to see what other people are saying about this release. The dream of new age music was shadowed in its own time – the late 60s and early 70s, when the first major New Age labels were set up – by terrible psychic fallout: drugs, psychosis, political despair, the collapse of hippie into another species of cutthroat entrepreneurialism. (“What we’re talking about, basically,” says the Malibu circa ’68 pusher in Joan Didion’s The White Album, “is applying the Zen philosophy to money and business, dig?”) The latter was precisely what happened with the codification of the various enthusiasms of the Age of Aquarius – early environmentalism, the mystical strains of Hinduism and Buddhism, indigenous American culture, whalesong, diet fads – into New Age (capital N, capital A, capital all the way down). 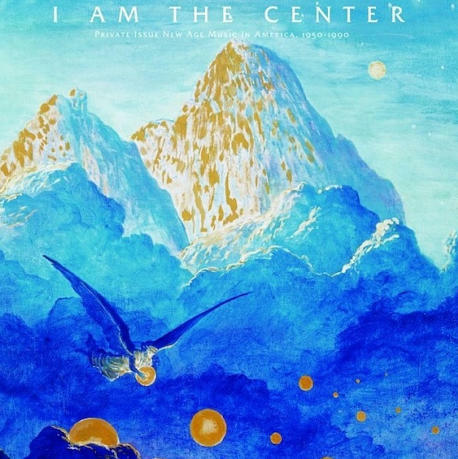 [Meanwhile], a stunningly beautiful compilation on the Light In The Attic label called I Am The Center showcases the outsider art of privately released new age music, while a reissue programme of music by new age/ambient oddballs such as Laraaji, Space Lady and Harold Budd gives you all the levitational sound you could ever need. Though most new age music has rightfully been associated with the cynical postmodern business of sonic backdrop music of the 1980s, ’90s, and early 21st century — it was originally an outgrowth of the spiritual adventurousness of the 20th, particularly during the late ’60s and ’70s. Light in the Attic presents the first overview of the genre from the private-press side; in other words, its most authentic expression, since the vast majority of the records surveyed here were released by artists who had no regard for economic remuneration. This set collects 20 tracks from well-known and hopelessly obscure musicians and places them in an historical and qualitative context which focuses on musical adventure and/or spiritual intention — most of what’s here was released long before the genre became an industry. This is the music of the true believers. Few musical genres have been ridiculed as much as “new age.” For decades, it’s been primarily written off as something best left to yoga-loving spiritualists looking to open their seven chakras — not those searching for a musical statement of real artistic value. If anything, it all leaves you scratching your head as to why sister genres like psych, kosmische, krautrock and prog got slapped with the “cool” tag while new age was left out in the cold. New Age is ambient music in altruistic mode. New Age artists aspire to heal listeners and improve the world through tones intended to align chakras, soothe nerves, and pacify aggression. These musicians strove to help people deal with the formidable stresses of 20th-century life and, in general, to uplift mind, body, and spirit. New Age enjoyed an evanescent popularity in the ’70s and ’80s, but it soon became subjected to derision, as much of it was painfully earnest and egregiously sappy. However, as with any genre (except third-wave ska), a small percentage of New Age music is golden. At its best, New Age is profoundly spiritual, relaxing, and a huge boon to meditation—and also a pure sonic delight, even if you hold no truck with any of its mystical/hippie trappings.